How Long Is Ammo Good For? You’re cleaning out your great-uncle’s garage when you find a box of dusty .30-30 shells. You’re going through basement storage when you find a tote of hunting supplies; among the camo gloves and duck calls, you find a case of 12-gauge shells. You’re looking through your cluttered gun case when you find a box of 9mm Lugers, which you’re fairly certain were purchased 15 years ago. What should you do with this ammo? Is it safe to use? Is it reliable? How long is ammo good for? 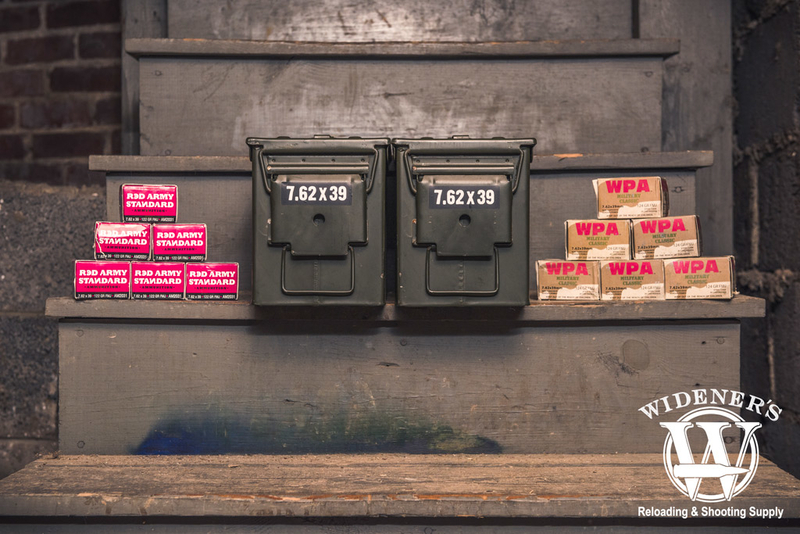 Ammunition, like most products, has a shelf life, and understanding this shelf life is crucial to storage, use, and success at the range and the field. Ammo Longevity: How Long Does Ammo Last? How Does Ammo Break Down? Several factors including heat, moisture and time can cause ammo to break down and lose reliability. For the typical gun owner, there are really three things that cause ammunition to break down: heat, moisture, and time. All of these factors, either in combination or on their own, can result in less power, speed, consistency, and reliability from your ammo. While they can result in less effective rounds, they can also cause the ammo to be unable to fire, known as a misfire. It’s also possible for one or more of these factors to result in a hangfire, which is a delay in the ammunition. When moisture seeps into the ammo, it can cause the primer and the powder to become damp, leading to challenges with firing. Moisture can be visible liquid, from rain, lake water, or spills, but humidity can also, over time, cause moisture to harm the ammunition. Moisture not only dampens the primer and powder, it can also cause excessive corrosion to the exterior of the cartridge, including the cases and bullet, depending on the type and material. The final factor is time. As we discussed earlier, powder begins to deteriorate immediately, and this process continues for the entire life of the ammo. The process is slow, but time will factor into your ammunition lifespan, and will contribute to the impact of moisture and heat. So…How Long Does Ammo Last? The most common timeframe referenced by most ammunition experts and manufacturers is ten years. Federal Premium Ammunition, for example, states that when it is “stored properly, loaded ammunition has a 10-year shelf life.” You will, of course, find many people claim that ammunition lasts much longer, but if you want the highest level of reliability, consistency, and performance, it’s best to stick to the ten-year rule. You can fire old ammunition at the range, but if you are loading rounds for hunting or (even more important) self defense, you can’t take chances with old ammunition. Keeping your ammunition in a cool, dry place can increase its lifespan, refrigeration not required. If you are dedicated to making your ammunition last for a long time while still delivering consistent performance, you need to reduce the cartridges’ exposure to moisture and heat. As we discussed above, moisture is one of the biggest problems for ammunition storage. 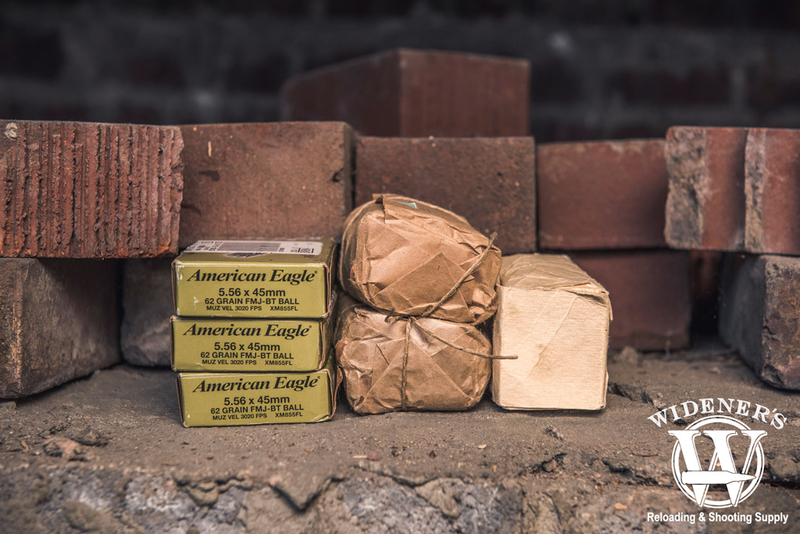 To ensure your ammo stays in good shape for years, make sure it is kept in water-tight boxes that keep moisture out. Ammo cans are useful, and some people go as far as keeping their ammo in sealable food containers. Obviously, you want to keep your ammo out of the rain, but prolonged exposure to humidity can also lead to the failure of powder. For this reason, it’s best to avoid storing your ammo in a damp basement, and if you live in an area with high humidity, the use of a dehumidifier, which has other household benefits, could also prolong the life of your ammo. Because high heat accelerates the deterioration of ammo, you need to keep it in a cool location. Avoid storing ammunition in the trunk of your car during the hot summer months, as the heat could cause premature failure of the ammo. Also, you should avoid keeping the ammo in your garage, as this is not only a safety concern, but uninsulated garages can get extremely hot. 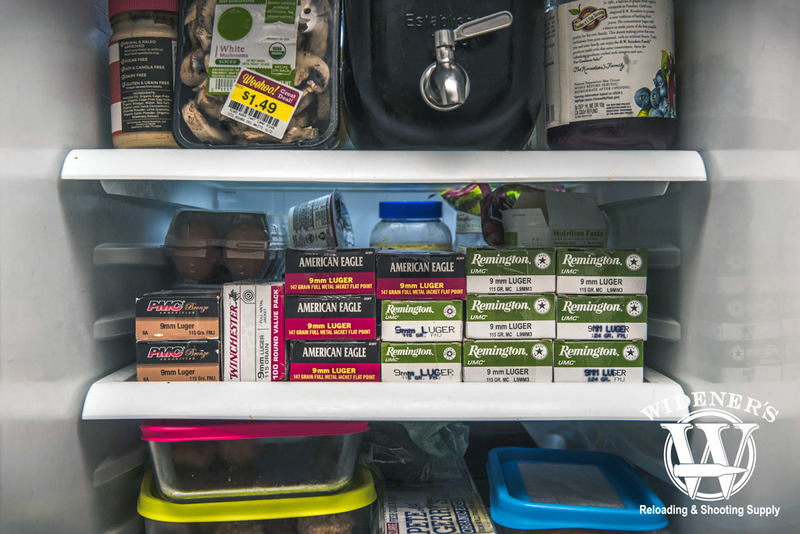 Temperature fluctuations can also damage ammo, so the heat in summer and frigid cold in winter can be a good reason to keep ammo inside the home. 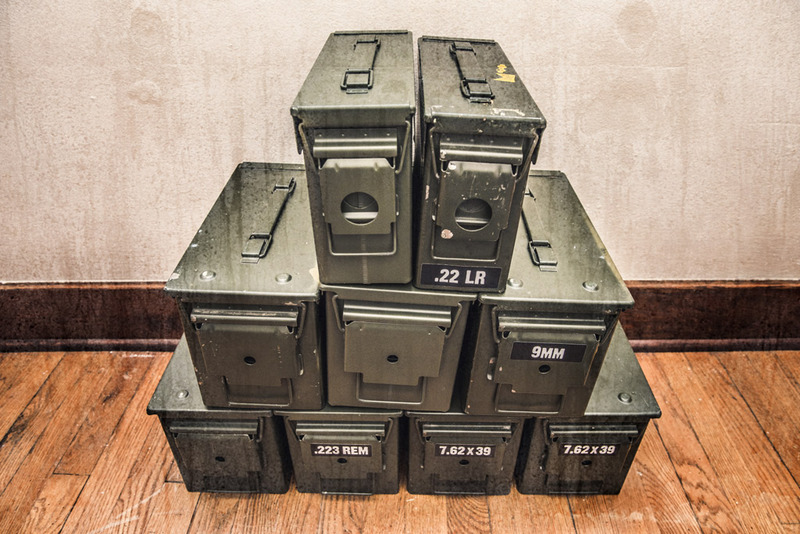 How you choose to store your ammunition can make a difference in it’s performance over time. There is a lot to remember about the chemical composition and deterioration of ammo, but if you simply remember to store your cartridges and shells in a safe, cool, and dry area, your rounds should be just fine. Keeping the ammo properly locked away in a gun case, which is placed in the living space of your home, while marking and rotating your ammo, will be enough to ensure consistent performance. How To Dispose of Old Ammunition? This brings us back to the old ammunition you found in your great-uncle’s shed. What should you do with it? If you’re willing to take chances with the interior quality of your rifle, you could try to fire it. Just be sure to practice the utmost safety standards, and remember the procedures for handling misfires, hangfires, and squibfires. 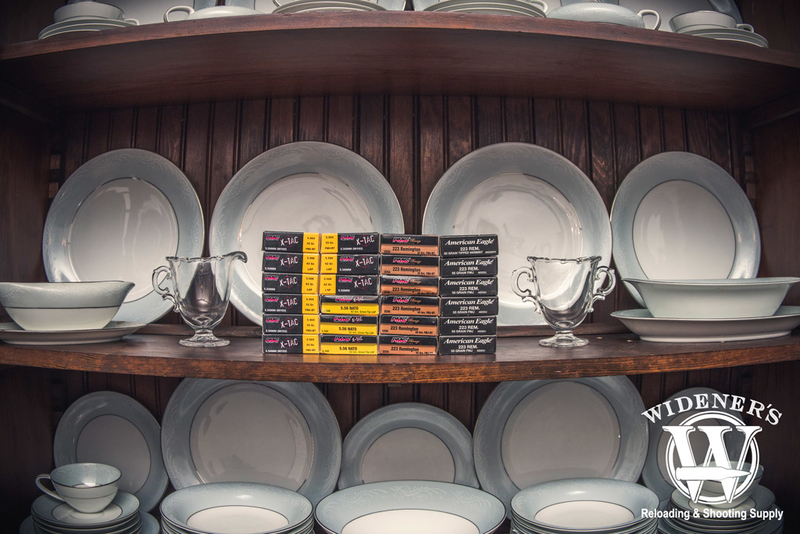 Take care in using outdated ammunition, especially if it’s older than your Grandma’s china. However, if you decide it would be best to simply get rid of it, you have a few options. Never put ammunition in the trash, as it is a hazardous waste item that needs to be disposed of properly. The first thing to do is to contact your local police department and inform them that you have some old and outdated ammunition to dispose of. They may have resources that you can use to properly destroy and dispose of the ammunition, or they may be able to point you in the right direction, such as a firearms club that can help with disposal. Some community and private gun ranges have disposal centers for ammunition. Contact a local private club; if you are polite you may be able to use their hazardous-waste drop off. If all else fails, call a local gunsmith or outdoors store; they may be able to assist with proper disposal of ammunition. With these tips, you can have ammo that lasts longer and gives you years of performance. You’ll also know what to do with ammunition that may be harmful to your firearm and won’t deliver ideal performance.